As is often the case, sharing a bathroom can often lead to disagreements and arguments, especially when yours is a busy family bathroom. However, we may have just found the perfect solution! When sharing a bathroom, mundane matters can often be magnified to become bigger issues. Things like the time and duration each family member spends in the bathroom, to whether the toilet seat has been left up or down, can lead to frustration. This is where we believe we can help. Our expert team at VictoriaPlum.com have come together to design what we believe to be the perfect family bathroom. 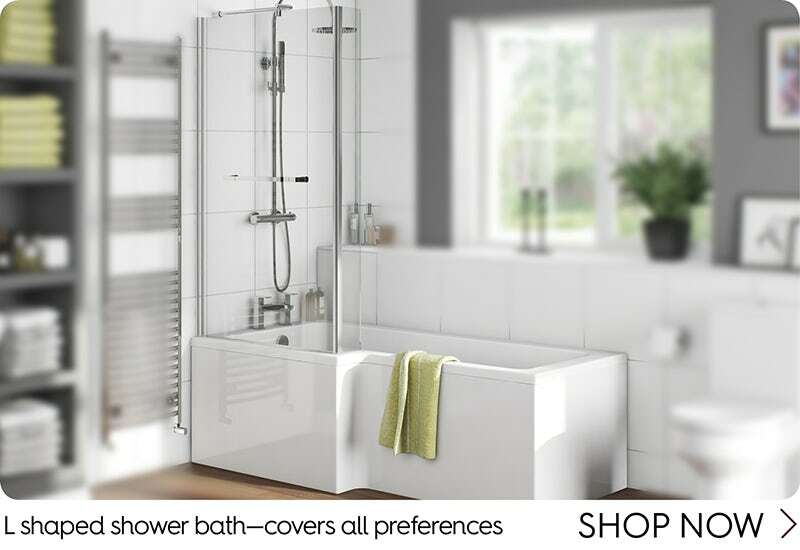 Designed to cater for all tastes and situations, a shower bath is a great choice for family bathrooms, especially where there isn’t room for separate bath and shower installations. From Mum and Dad who like a quick shower before setting off in the morning to those precious (and often riotous!) bath times with your children, the shower bath really can be all things to all people. 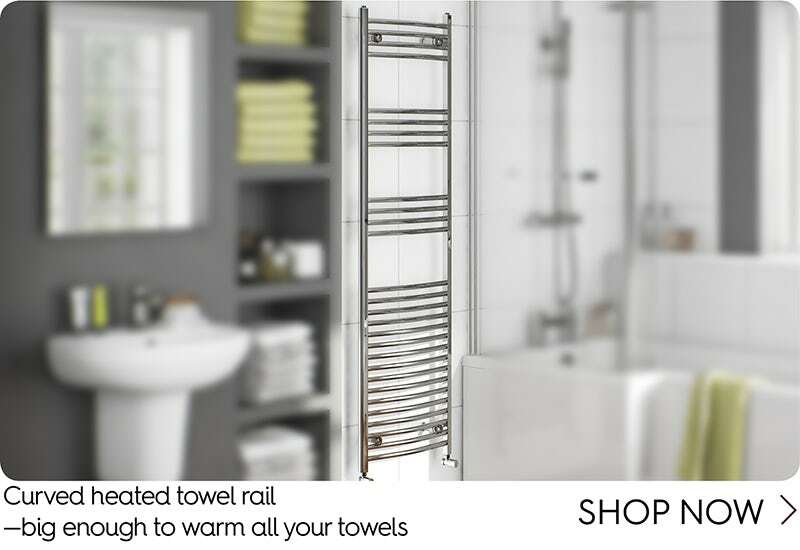 Especially handy on those cold and frosty winter mornings, you'll want a reasonably sized heated towel rail that can hold all the family's towels and keep your bathroom toasty warm at the same time. 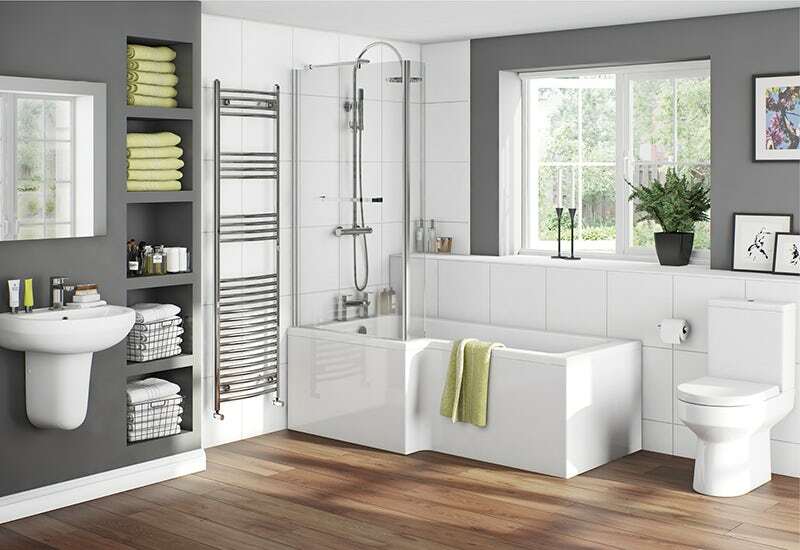 "What is a thermostatic shower?" I hear you cry! 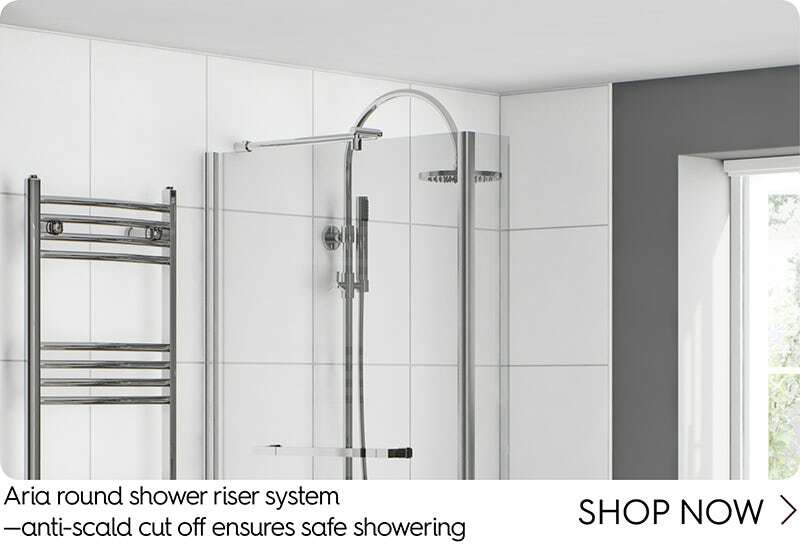 A thermostatic shower is designed to blend your water to a set temperature, taking into account variations in water flows. If you've ever experienced a blast of icy cold or boiling hot water when someone has turned a tap on elsewhere in the house, you'll appreciate how much nicer a thermostatic shower can be! Thermostatic valves can be set easily to your optimum temperature meaning no more guesswork or fiddling around with controls to get it just right. Perfect for shared bathrooms. Kids grow up fast, and nowhere is this more apparent than in the bathroom. 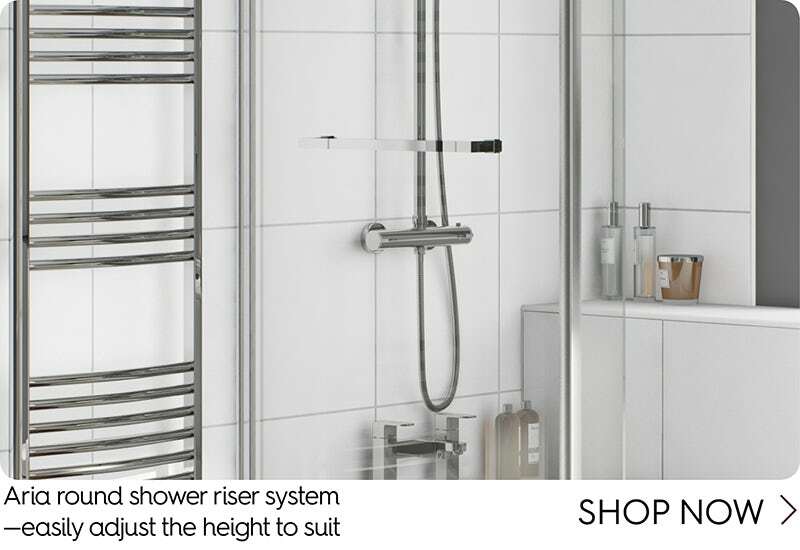 By using a slider rail shower kit, you can get the shower head height and angle just right, no matter who used it last. One thing you might have slightly uncomfortable memories of is the old family toilet with its lid which would bang shut with a clatter when accidentally dropped. Plus, if you ever had the misfortune of trapping your fingers, you’ll be relieved to find out this sort of accident can be easily prevented. 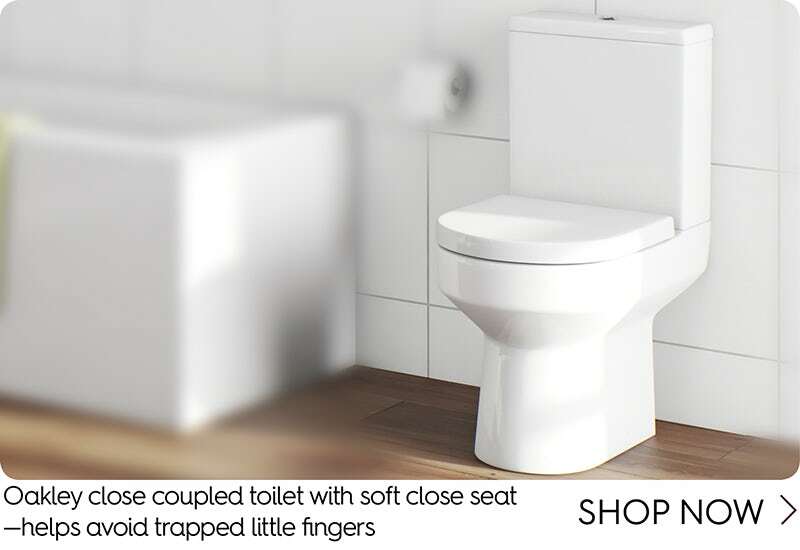 Our Oakley toilet comes complete with soft close seat, which also helps prevent general wear and tear and avoids trapping little fingers. 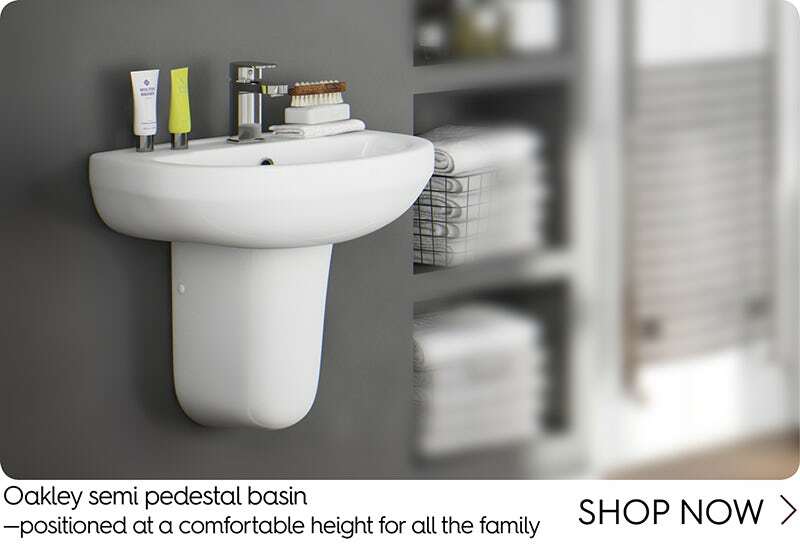 Basins should be set somewhere between 760mm and 1190mm in height, but this will solely depend on your family situation. If you have younger children, it may be worth setting it at a slightly lower height so they can use it more easily. This also encourages hand washing and tooth brushing more than a basin that is hard to reach. As any family will testify, with such a high volume of usage, your bathroom floor tends to get very dirty very quickly. 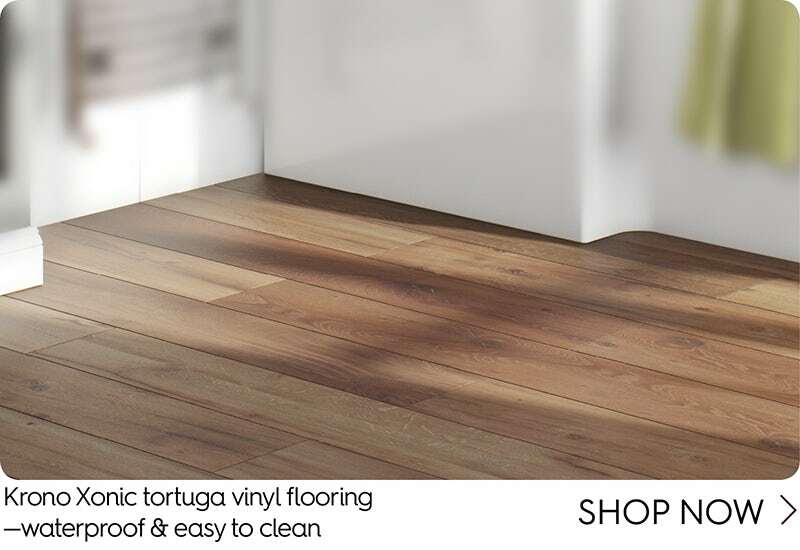 With spillages from potions and lotions, not to mention water splashes from baths and showers, good quality flooring, that's easy to clean and provides protection, is a necessity. Luckily, we've found just the solution. Krono Xonic vinyl flooring is a high quality solution for any family bathroom. With anti-bacterial properties, it is simple to maintain, without the need for harsh chemicals and provides a 100% watertight barrier, ensuring any little accidents don't end in tears! What's more, it's super fast and easy to install, with boards that simply clip together. There's also a range of superb wood and tile effect designs to choose from, so you can really go to town with your bathroom design. Here at VictoriaPlum.com, we have a wide range of fabulous family bathroom suites for families (and budgets!) of all sizes. You can even shop all the products featured in this article. Why not take a look? Sharing your bathroom with little ones? We show you how you can create a fun family bathroom, with some space-saving hints and tips, for when you want it to be your very own space. Take a look through our mood board to get some great ideas on creating a fun, shared space. The bathroom is a central focus of any home, but even more so where families are concerned. With a family bathroom you need to take the needs of all family members into consideration and this style guide should help you find a design everyone can be proud of. Planning a family bathroom means finding a delicate balance between style and function. In this blog post, will show you how a family bathroom can be both practical and stylish.